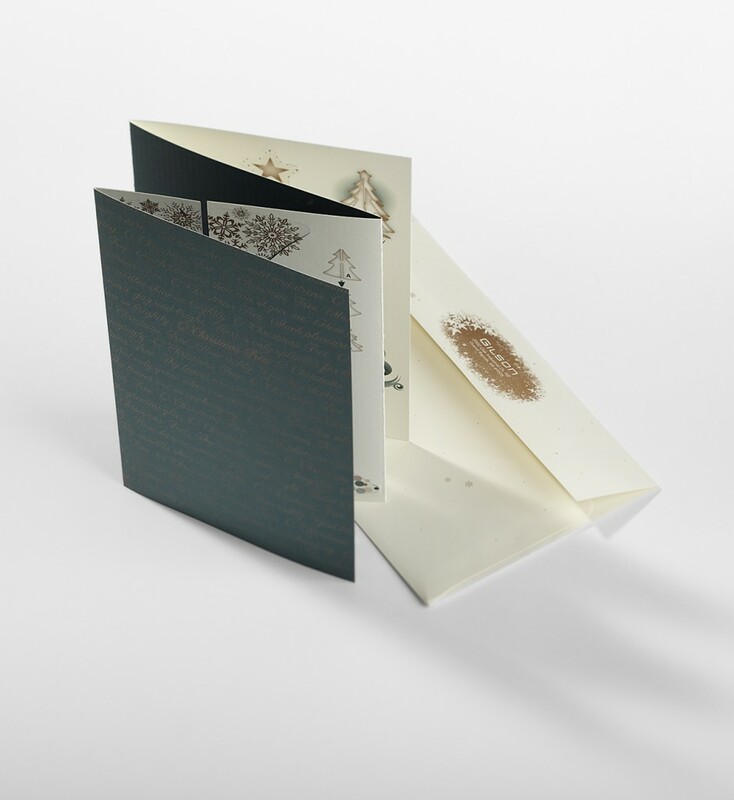 Nothing says “Celebrate!” more than a holiday card with all the bells and whistles. 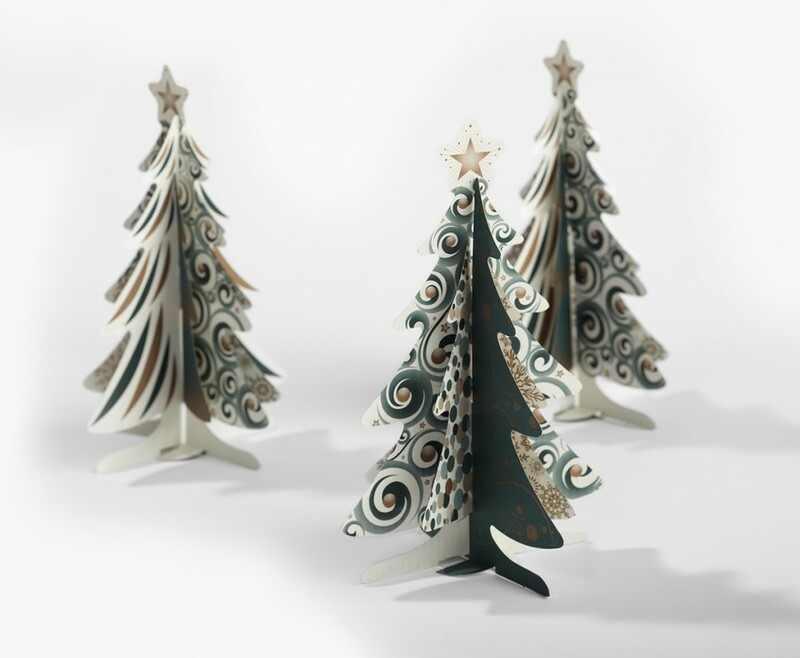 Gilson’s in-house creative team created this die-cut wonder that transforms from a greeting card to a pop-up desktop Christmas tree. 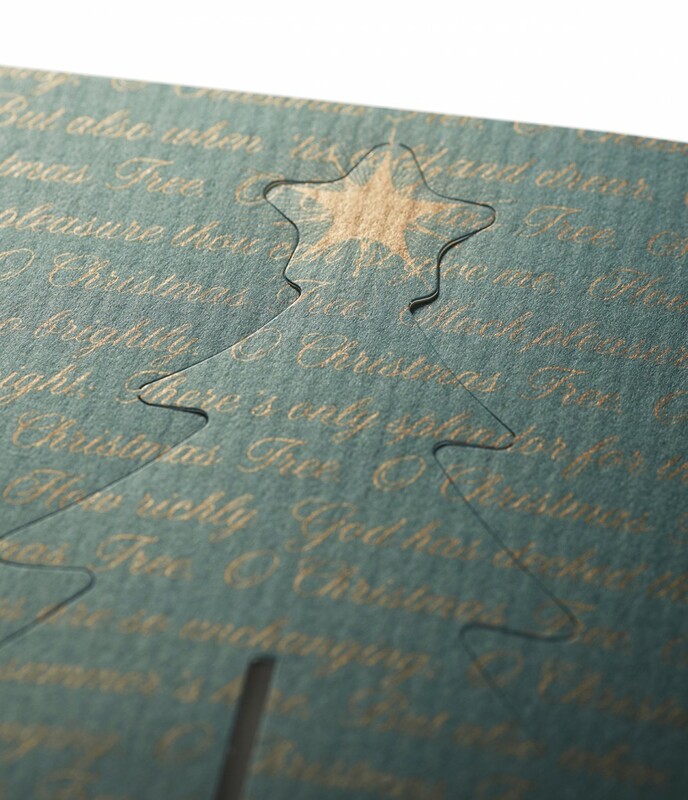 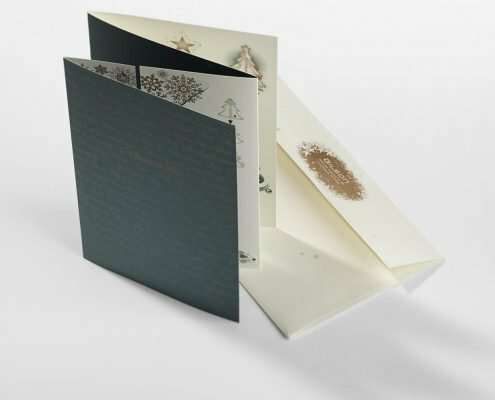 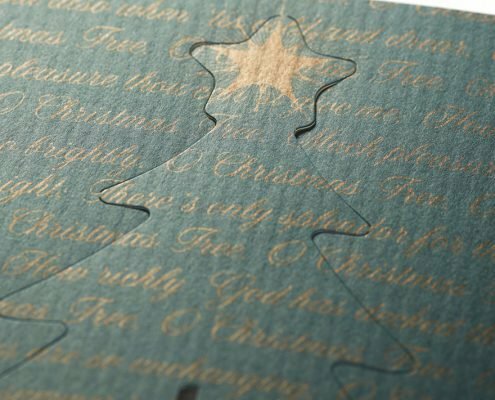 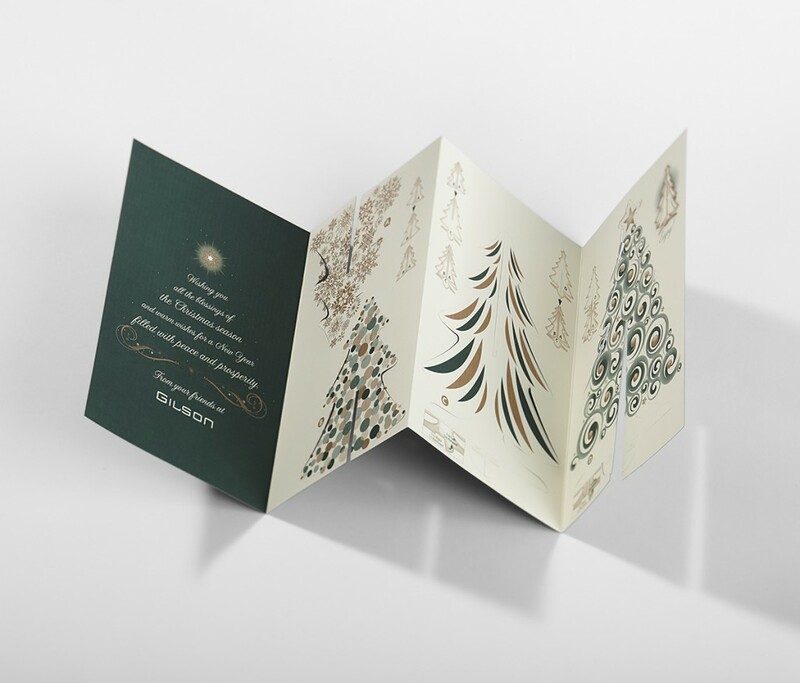 Working from a custom-illustrated, three-dimensional design, Gilson used duplexed paper stock and spot metallic ink to bump up the holiday cheer. In lieu of elves, the team created an instructional YouTube video to help with assembly of the tree.